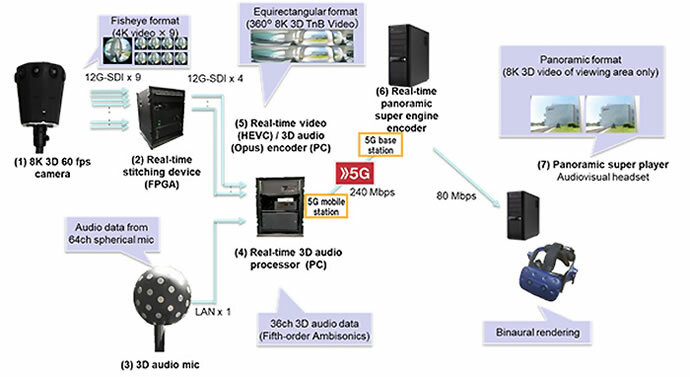 NTT Docomo has developed what is believed to be the world’s first 8K 3D virtual reality (VR) system for live video streaming and viewing at 60 frames per second (fps) over 5G mobile communications. Viewers will be able to use head-mounted displays to experience music and sporting events in highly realistic 3D VR, allowing them to feel as if they are actually at the venue. The newly refined system features a new 8K encoder that supports frame rates of up to 60 fps for smooth, fast-moving video, a special 3D camera for live video streaming, and an FPGA stitching device for extra-fast processing, and introduces ViRealTM 3D audio technology developed by Yamaha Corporation to achieve amazing omnidirectional sound through standard headphones. NTT Docomo, since announcing its first 360-degree 8K VR system for live video streaming and viewing last June, has further refined the system for a more immersive and realistic viewing experience. The streaming trial was facilitated by the Docomo 5G Open Partner Program, under which Docomo is collaborating with leading partners, including Yamaha, HTB and NEC. 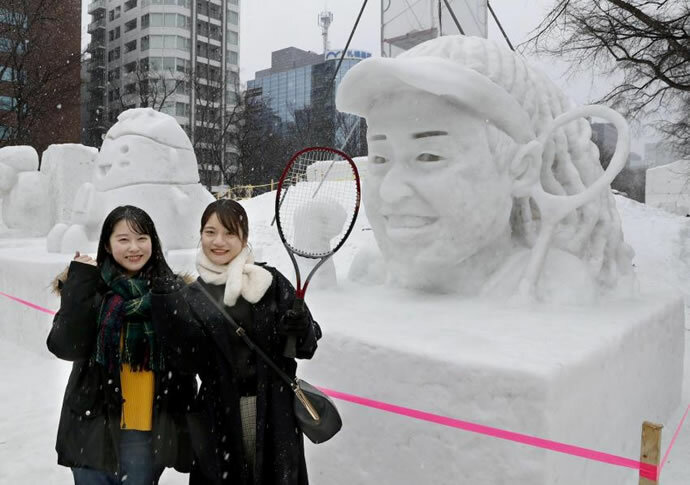 On February 3, in collaboration with Hokkaido Television Broadcasting and NEC Corporation, Docomo successfully streamed video of the rehearsal of this year’s iconic Sapporo Snow Festival using NEC’s trial 5G equipment to a special booth set up at the festival.